Small business owners often do all they can to cut costs while providing the best service possible for their customers. If someone perceives that your business is at fault for an injury or damage of some kind, you may find yourself involved in a lawsuit. Your time and money go into your business, it simple – protect your investment. A high number of the businesses in United States are run as partnerships or sole proprietorship. For almost all of these small businesses, these kinds of ownership may put the business and individual at a risk. Having the correct type of Business Insurance can protect your business and you from financial disaster. It’s often mistaken that a limited liability company (LLC) or an incorporated company is a business owner who is protected from personal liability and Business Insurance is not necessary. 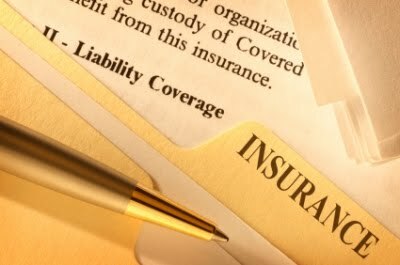 Business Insurance is known as General Liability Business Insurance. Business coverage includes personal injury where a person is hurt due to the negligence of our business, due to an item your business has sold or by one of your employees. Property Damage includes claims from customers as well as damage to your own property due to a storm, break in, etc. Lawsuits are also covered and include advertising claims and slander on your business’ behalf. Covering your employees for injuries while on the job and death are also included. Your home business is not covered under your homeowners policy. Don’t make this mistake! Consider purchasing Business Insurance. When you purchase your General Liability Business Insurance you must consider the risks of your business and the amount that your state caps on lawsuits against small businesses. If you remodel homes your business is at a higher risk of lawsuits, property damage and injuries than if you make and sell crafts. Your business risks will determine the amount of coverage you need to purchase as well as Florida’s caps on your type of business. Budget Bi Rite can assist you with these types of decisions. If you have been sued, if a worker has been injured, if your property has been damaged, contact your Business Insurance company immediately. Save all of the information you receive, take photos, get witness contact information, and follow through with your insurance company. Be sure to document everything. This can be a worrisome time, but knowing that you have Business Insurance will make this go a lot smoother. 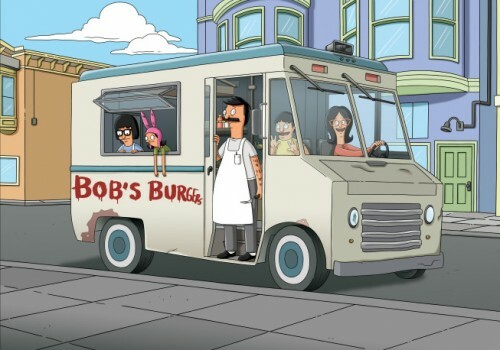 Just like The Great Food Truck Race on the Food Network, food trucks have come a long way since the days serving pizza, chicken, hot dogs and ice cream from food carts and the demand for cheaper food and on the go has risen immensely since the decline of the economy. Today home cooks and restaurants have taken to the road and are sharing there wares from Deserts to Steak taco’s, vegetarian and vegan and you can find homemade recipes that will want you coming back for more. Put Twitter in the mix and food trucks together and you can have followers everyday. Consider your food truck your restaurant. How do you want the outside to look, what will your logo/brand be. If you have seen the Great Food Truck Race, you will see that there trucks are attention getting with just the artwork done on the truck to begin with and I am sure that did not come cheap. Shop around and get quotes. Your first impression is the truck itself pulling up to any location. What are you serving? Are you a breakfast truck? Lunch? Desserts only? Do whatever you are good at, or the recipes from your Nana that are so wonderful you want to share them with the world. Go with what you know, what has received good reviews from others. Practice your recipes and demand family and friends be your worst critics.You do not want to hear, yes that is delicious when its not. Better to have family and friends be honest with you before you put out a recipe, then letting your customers tell you by not coming back. Also consider your time to get the product out. A majority of customers coming to your truck want fast service, which means you need to have fresh food fast and tasty. Another thing to consider is what you are serving your food in. You want a container that will hold the food well for your customers who may be eating and on the go. Your time and investment matters. Food trucks can cost as much as a small house to cheaper versions, it all depends on how much you can invest. A food cart at say $3000.00 to food truck at $50,000 is a big difference. How much do you have for start up? You will also need to calculate, prep time for recipes, shopping for food, time spent out in the field making sales and travel time to and from your destinations. Twitter is a food truck owners friend. Post where you are going to be and what time, specials for that day on a Twitter account you have opened just for your Food Truck business. Gather in your local people to follow you and tell their friends. Social Marketing is a must for any business and word of mouth is priceless. Yes you are a business and the health department and your local code enforcement will let you know that. You will need to have a health inspection and obtain permits to keep yourself in business. You may want to contact your local health department and ask what the health codes are to make sure your inspection is a good one every time and your local county office about what is required permits. Key word here is not only business, its Food Truck. You will be mobile and on the road, which means you will need to be insured. General Liability and Commercial Auto. Contact our office so we can help you find the best quotes and what is needed for your great food truck. Just like a restaurant, good service and good food are key ingredients to being successful. That means you need a plan and to follow that plan. Set up your menu, calculate your cost of food, truck expenses and advertising and be sure to add in your insurance cost before before you leave the driveway. With just about every home now owning a computer or laptop, many people are working out of their homes. While it is cost effective with little overhead other then what you pay to live in your home already, your home insurance will not cover all you need for a home based business. Like home insurance will cover your personal items in case of theft or damage, your home based business insurance will cover all your equipment used in your business, IE: computers, phones, fax machines, cameras or what ever equipment you use. Your home based business insurance will also cover what you have that belongs to others. Let’s say you are a trading assistant on eBay and you store clients products until they sell. You are responsible for these items and knowing that you are protected is great ease for your mind and pocket in case something should happen to them. Credit card coverage that will cover your business card and your personal card. Regular home insurance policies will only cover your personal cards. You also can obtain coverage for personal liability, that will protect you in case any of your clients that are visiting for meetings or appointments have a slip and fall and make you liable for a lawsuit. Taking your laptop or camera with you? Home business insurance will cover your equipment while out in the field while some regular home insurance policies will not. Home insurance does not cover business but business home owners insurance does cover your household. You have a great product, its selling and there are demands for more, but what happens if someone becomes injured or sick as a result of using your products. If you do not have product liability insurance you could be out of business. First lets see what this type of insurance does for you. Product liability insurance protects your business from anyone suing you. It takes the risk of someone getting injured or sick because of your product, straight to your insurance company where they can be compensated. This does not come out of your pocket or away from your business profits. If you do not have product insurance, you are gambling with your business. How much coverage do you need? That will depend on what type of business you have and what type of product your company provides or manufacturers. If you manufacture fireworks you will probably need more coverage then say a company that provides shoes. When consumers use your product your are legally responsible for injury or property damage from the use of your product, but other legal areas could arise and your really need to know what your coverage will do for you for any product-related lawsuits or mishaps. Why put your business in jeopardy for something that may hurt it or possibly close it down. Cover yourself for the just in case and you will sleep better at night knowing your hard work to build your business no matter what size is protected. or visit our website budgetbirite.comfill out the form and we will have an agent contact you within 24 hours.